Hangzhou&apos;s Meijiawu Longjing Tea Plantation/Village is a famous Dragon Well tea plantation nestled in the hills surrounding West Lake. 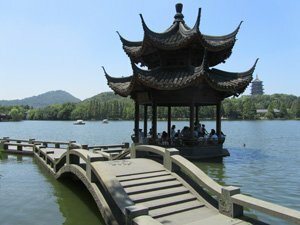 It is renowned as one of the most important production bases of West Lake Dragon Well tea in China, and possibly even the world. In the past, Meijiawu was just a poor village with a history of over six hundred years, until the local farmers started to plant longjing tea. It has now become one of the four famous areas for growing longjing tea (dragon well tea) and a distinctive village with rich tea culture and leisure tourism, attracting millions of tourists every year. Meijiawu is renowned for its history of serving exquisite tea. 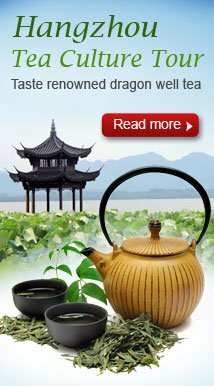 The tea produced there is one of the best varieties of West Lake dragon well tea, which in turn is regarded by many as the best tea in China, and hence the best in the world. In the past, the village has entertained leaders of the Soviet Union, the United States, Vietnam, Great Britain, Cambodia and many other countries and regions. 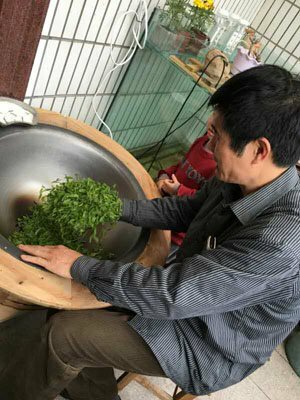 People in Meijiawu make a living from longjing tea. More than 500 tea farmers live there. They know the tea-making process very well. Going there presents a good opportunity to meet a local tea expert. You can go to the mountains to pick tea with a local tea grower, who will teach you some tea-picking tips. After tea-picking, go to the tea farmer’s home to learn the process of stir-frying. Have a try under the farmer’s guidance. 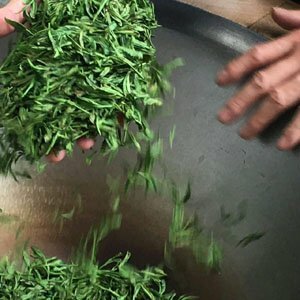 After practicing all these tea-making processes, you can taste the authentic Hangzhou longjing tea. The tea culture village features 160 tea houses, in which travelers can learn about the history and culture of Chinese tea and appreciate the whole process of the Chinese Tea Ceremony. You will be able to understand why partaking in a tea ceremony is of such importance to the Chinese. You can try the whole process of making a cup of tea. Prepare the tea, pour it slowly, smell it, and sip it with relish. Our experienced guide will explain everything to you. Please feel free to ask our guide about anything you are interested in or don’t understand. He/she will be happy to share with you. 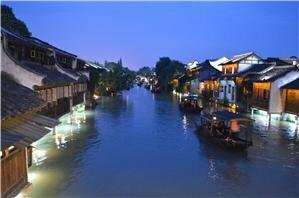 We aim to create an authentic Chinese tour for you. Tea food is one of the characteristics of Hangzhou. Meijiawu is renowned for its tea food, which is known for its lightness, smooth texture, and slightly salty taste. 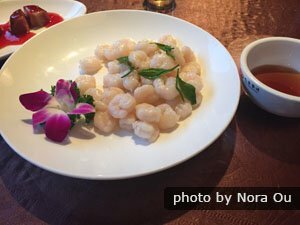 The most popular tea food, such as shrimp in longjing tea, shrimp in biluochun tea, longjing fish, carp with Qingshui tea, and crispy skin chicken with tea, are all served there. March to May is the tea-picking season. March to May is the tea-picking season, the best time to visit Meijiawu Longjing Tea Plantation. Local farmers usually pick tea leaves four times a year: Mingqian tea is picked before the Qingming festival (Chinese Tomb-Sweeping Day, Apr. 4/5), Yuqian tea is picked before the "grain rain" period (6th solar term, Apr. 20), Sanchun tea before the beginning of summer (7th solar term, May 6) and Sichun tea just one month later (Jun. 6). These dates remain fairly similar but may change slightly from year to year. Is Meijiawu worth a visit in the non-tea-picking season? The answer is “yes”. Although picking tea leaves may not be possible, there are many other activities you could still take part in. You could still visit the tea plantation and learn about tea-picking. You could watch the tea ceremony and have some tea. Or learn how to select good tea, and learn about the history and culture of Meijiawu. Delicious tea food is also available. Don’t fret about not having a good experience. This picturesque village will help you to experience the pleasure of a perfect cup of tea, watch several tea ceremonies, and most interestingly select tea under professional supervision. We will tailor-make an authentic tea culture tour for you, according to your visiting time and preferences. Accommodation: In Meijiawu, some inns were originally built as residential buildings, and they may not be as good as starred hotels. Meijiawu is close to West Lake, so we suggest booking a hotel near the lake. Transportation: Bus 103 can take you there. Taxi is also an option. The most convenient and comfortable way is to take a private tour with us. We will arrange the transport throughout your tour. 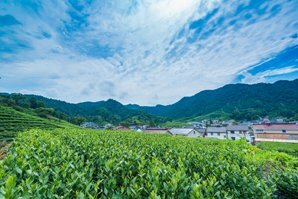 You can step into one of the best tea plantations in the world at Meijiawu. We have designed a tour especially for tea fans, to experience tea culture at Meijiawu Tea Plantation:1-Day Dragon Well Tea Culture Tour. 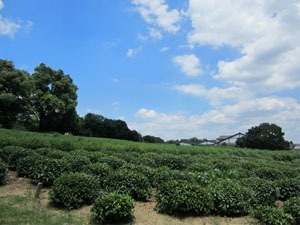 Step into a tea plantation at Meijiawu Village and pick tea leaves by hand. Learn from a local tea specialist the process of stir-drying tea, and the art of making tea. 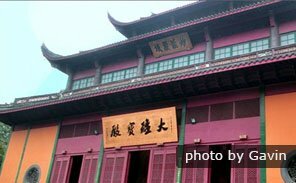 Visit the China National Tea Museum to glean a general idea of Chinese tea classification and history. Sample a local tea snacks banquet. 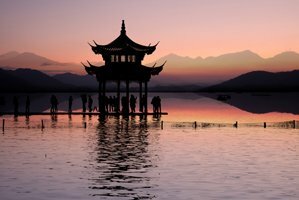 Our tours are customizable — tell us your interests and requirements and we will help you to tailor-make an authentic Hangzhou tour.